I’m a huge fan of bird watching. I know, I’m terribly cutting edge. I don’t know what it is but there’s something so relaxing about feeding birds and watching them in my yard. When we moved to Georgia last year I bought a Georgia Bird book and installed hummingbird feeders (my recipe for hummingbird food here) on my porch and a bird feeder on a pole outside of my office window. I loved watching the cardinals and chickadees visiting my feeder as I was working at my desk. Then one day I heard a noise and looked up to see this. As soon as I saw him up there I knew he was also the reason I had mysteriously found my feeder knocked to the ground a few times recently. I knew that I needed to stop this little guy as quickly as possible before he scared my birds away. 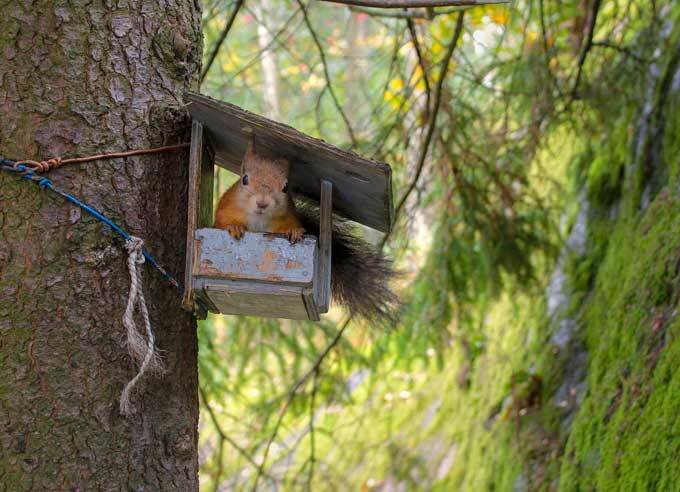 If you are looking for a new birdfeeder there are a variety that are created to be squirrel-resistant. Feeders like this one rely on the weight of the squirrel to make the seed unreachable, the weight of the squirrel closes the openings to prevent the squirrel from accessing the seed. This is a great option for new feeders. If you already have a feeder, there are a few options to try. You could buy a squirrel baffle like this one which prevents the squirrel from climbing the pole the feeder hangs from. Be sure it is at least 15-18 inches wide to prevent the squirrel from reaching around it. I tried a less expensive option first- petroleum jelly! I coated the pole my feeder hung from with a thin but thorough coat of Vaseline to make it slippery and prevent the squirrel from climbing up. It worked!! It’s been three months and the squirrels have not been able to get up my feeder. I’ve only had to reapply once in that time despite our heavy summer rains here in Georgia. If your feeder is not hanging from a pole you can experiment with other options. One is to hang the feeder from a horizontal line. 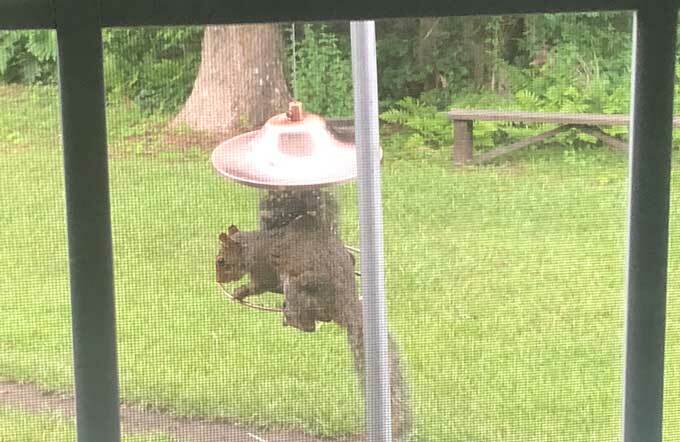 Add thin PVC pipe pieces to the line on either side of the feeder so that squirrels trying to climb the line spin off and can’t hold on. If you can’t prevent the squirrel from accessing the feeder another option is to use cayenne pepper or a squirrel deterring bird food like this one to deter squirrels. Mammals can taste the heat of peppers but birds cannot so spicing up the bird food is an effective way to discourage squirrels from eating at your feeders if you are unable to keep them off. 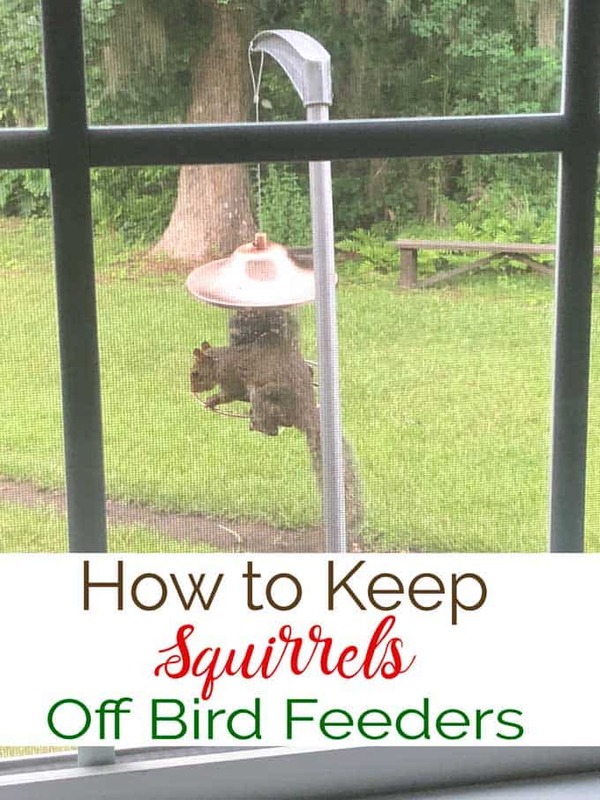 Do you have squirrels trying to get in your bird feeders? Have you been successfully keeping them away with a method I didn’t cover here? Please share in the comments!